Tick, tock, pop . . . .
It’s crazy how my daily life is controlled by my prescriptions. Since I have to take 8 pills, 5 before noon, sleeping-in on the weekends is out of the question. When I wake up after 9am on a Saturday I’m mad, and that’s depressing 😦 During the week I have the following things with me at all times: my cellphone (who wears a watch these days), pill box, and a glass of water. While working at my desk or attending a meeting, all I’m thinking is tick, tock, and pop a pill . .
About a month ago there was no need for a pillbox and I barely took my daily multivitamin pills. To go from that to 6 pills a day, and recently increased to 8 pills a day, it is a serious lifestyle change. I commute to work and every morning I double, triple check my purse to make sure I don’t forget my pills. And then I think, OMG, what would happen if I did forget my pills? How do I explain to my boss why I will be late? Would it make me look bad? 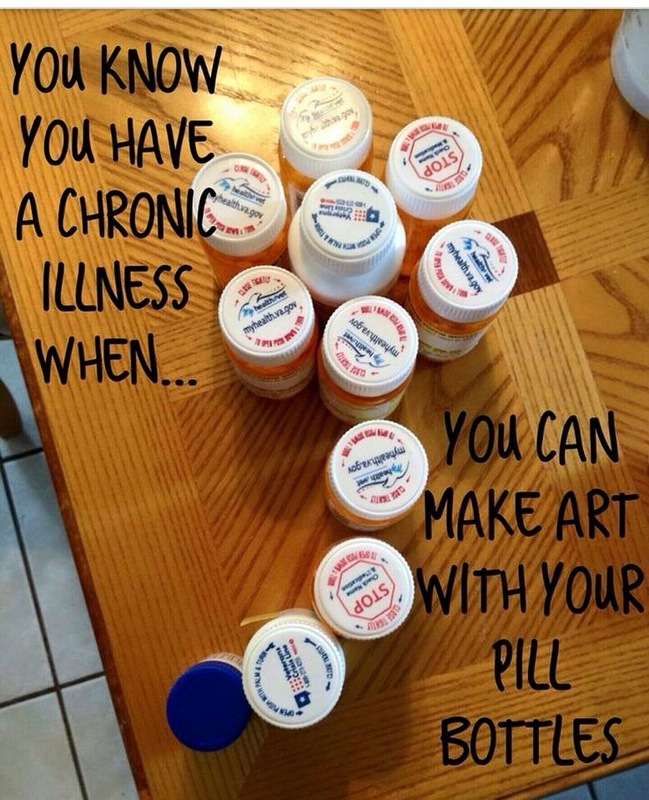 Can I “survive” a day without my meds? . . . It’s stressful. Adapting to this new lifestyle has been stressful. Even though taking 8 pills a day is “ruff”, I am starting to feel better. I can tell because my appetite is back and I’m sleeping better. I didn’t even realize until now that for the past few months I have been self medicating myself. I was taking antacids and anti-diarrhea meds almost everyday, and drank ginger ale daily to settle my stomach. I was already living the tick, tock, pop lifestyle in order to get through the day. Took an antacid right after breakfast, then after several trips to restroom took Imodium, then a ginger ale during lunch. After lunch I was good as long as I didn’t snack or drank coffee. I made an appointment to meet with one of my GI’s colleagues next week. I believe I have the most popular GI in my city, its like making an appointment to meet the Pope lately. It’s very frustrating. But I plan to ask if I’m properly taking the pills, and questions about diet and exercise. I have so many questions . . . I hope they have answers. And if they don’t have the answers to my questions, am I willing to accept that? . . .So many thoughts . . .